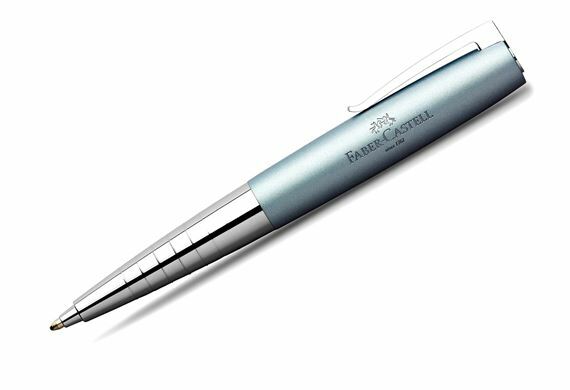 Order your Faber Castell Loom Metallic Ballpoint Pen today from FahrneysPens.com. Fine Pens, Refills & Luxurious Gifts – great prices & fast shipping. Featuring a grip section with fine rings and a subtly curved form, LOOM Metallic writing implements are varied and fascinating. They are characterized by luminous colors and an puristic elegance. 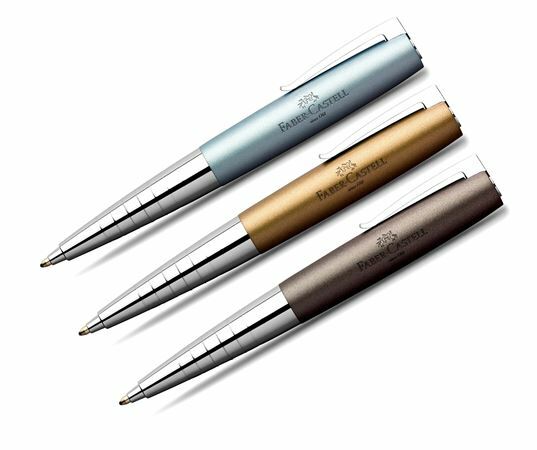 The modern trio, consisting of a twist ballpoint pen, rollerball pen and fountain pen, captivates with a conical shape and the high-contrast interplay of matte and gloss effects. The LOOM Metallic will add a colorful highlight to your writing pad or desk.